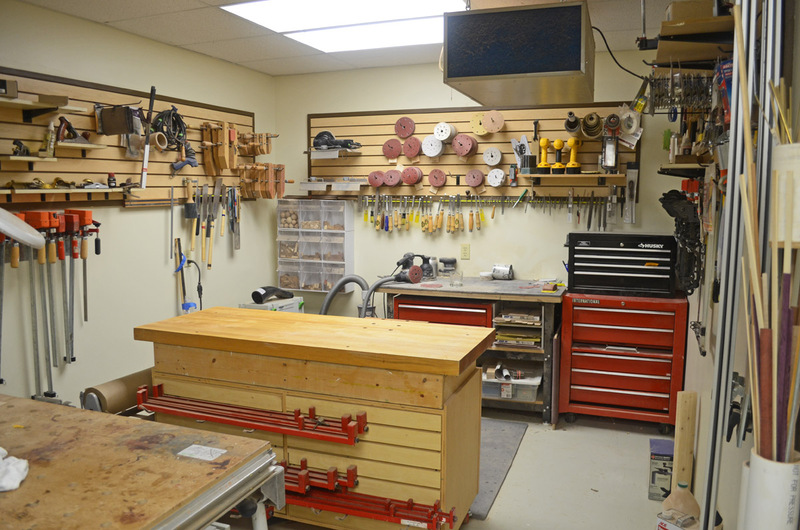 Here are a few photos of my shop, (taken right after a bit of floor sweeping). It’s long and narrow, but after decades in really cramped corners of basements, who am I to complain? There is about 900 square feet, most in the long, narrow main area. 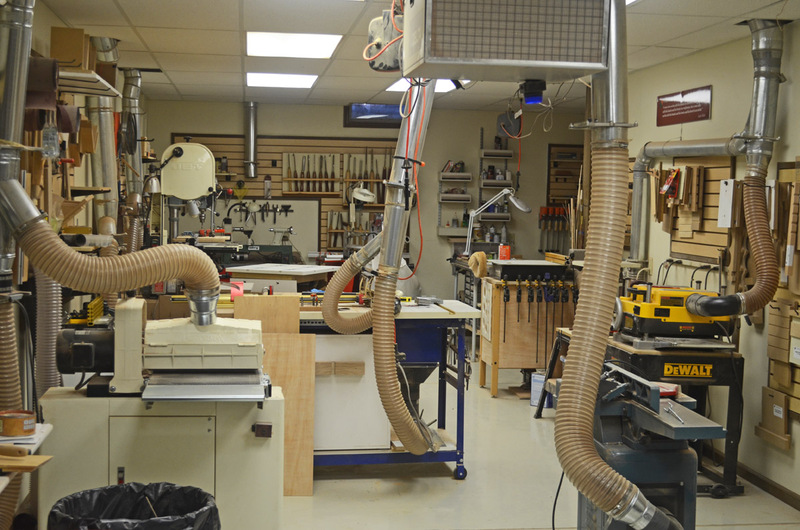 Additionally, there is a 120 square feet in the “sanding area” and a bit more in the alcove where the dust collector sits. A couple of things that make this shop so much better than I had in the past are 1) the 3HP cyclone Oneida DC and metal ductwork designed by Oneida, and 2) the epoxy coating on the floor. Both make the environment much more pleasant and easier to keep “reasonably” clean. Something else I am happy with is the use of slatwall. 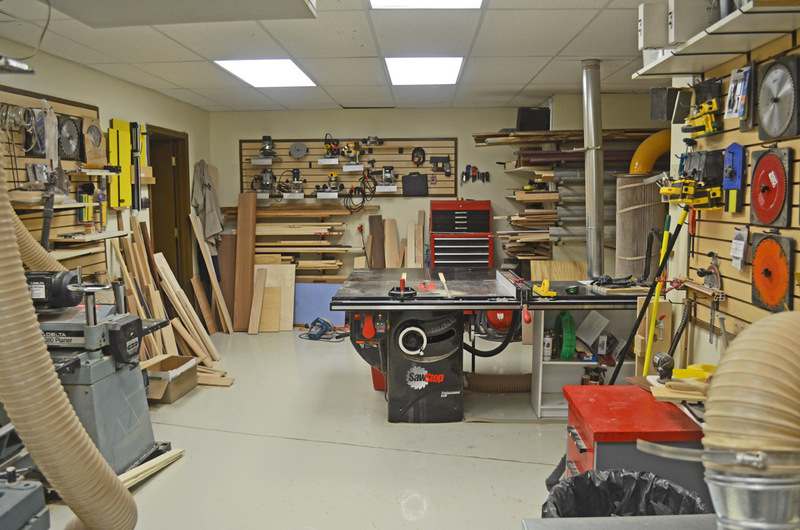 I became quite familiar with this stuff while working as a Woodcraft Store manager. It holds a lot, is infinitely adjustable, and must easier to use and stronger than pegboard in my opinion. The problem is that it is expensive. I’ve seen shops where entire walls are done in this. 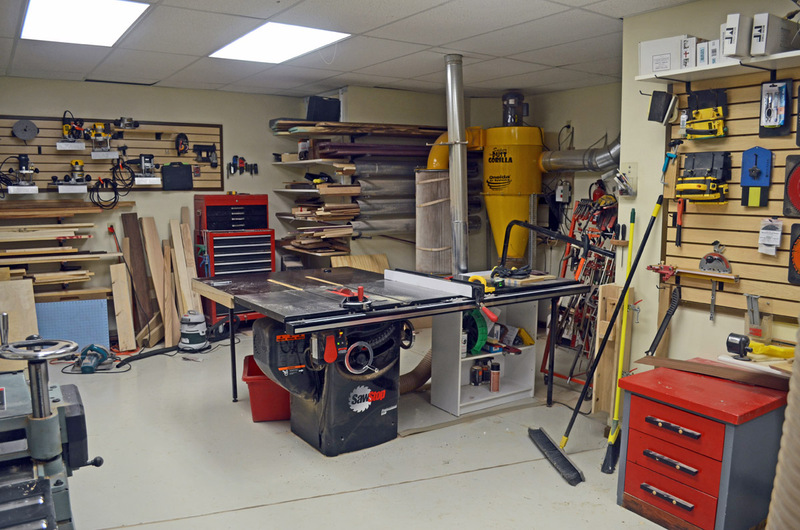 My approach was to cut it down to fit “bare spots” near machines and work areas. No reason to have slatwall behind something where it can’t be easily reached. As a result, I did everything you see in the photo with 6 4’x 8′ sheets. 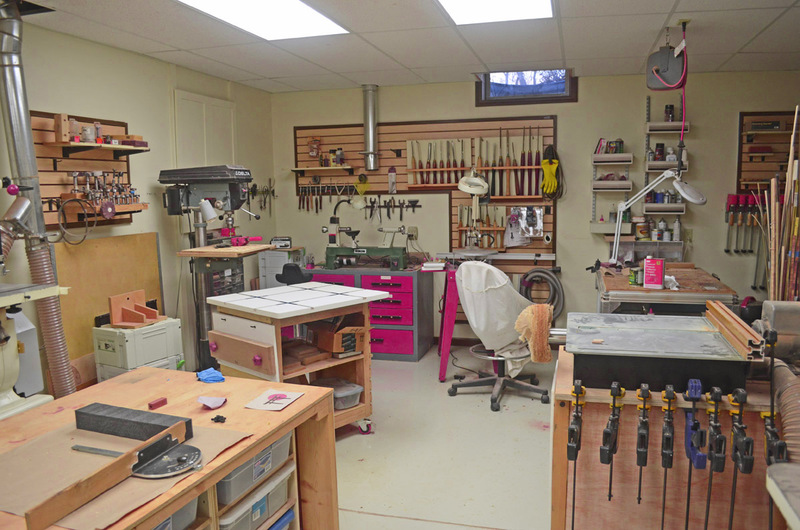 I must say, at one point I submitted the shop photos to an online contest run by a magazine, and the main criticism I receive was that there were few drawers or cabinets. Everything was exposed. THAT IS WHAT I PLANNED. I can see it, find it and use it, and I don’t spend all my time looking for it, or buying another when I can’t find it.